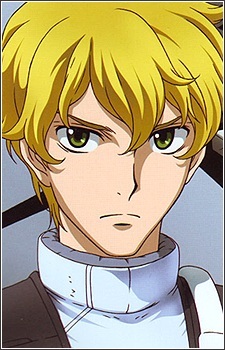 Name: Graham Aker Date of birth: September 10, 2280 Age: 27(Season 1) / 32(Season 2) / 34(Movie) Nationality: Union (American) First Appearance: Season 1, Episode 1, Celestial Being Unit: YMS-01A Union Flag The ace pilot of the Union. Originally on the MSWΛD (Mobile Suit Warehouse and Development) mobile suit team with the rank of First Lieutenant recently promoted to Captain, he was later transferred to the Anti-Gundam Investigative Squad. Possessing uncanny instincts, he pilots a black custom Union Flag. His signature move is to transform his Flag in mid- flight. When fighting the Gundams he exhibits tenacity and skill which makes him a formidable opponent for the Gundams. In Mobile Suit Gundam 00 Drama CD, it was revealed Graham was an orphan who dreamed of flying in the skies. Without the funds to become a civilian pilot he joined the air force to pilot military vehicles. He became a test pilot for the prototype Flag and easily mastered it without reading even the manual. A superior officer had wished Graham to marry his daughter but Graham declined. In a practice battle with him, Graham managed to defeat the officer and sent his mobile suit crashing; this resulted in his superior officer's death. Though this was purely an accident, it has stained Graham's reputation. One of his comrades, Joshua Edwards, even claims that his promotion to First Lieutenant of the Mobile Suit Warehouse and Development team was given to him because he kills his superior officers. Graham ignores these rumors as he prefers to vindicate himself on the battlefield.